Are you currently certified and want to change your registrar to ASACB? It's easy to transfer your company's certification to ASACB. In order to apply to transfer the certificate, please complete the application and make sure to mark under "services" TRANSFER. Once the application is electronically submitted, a representative from ASACB will contact you and request any additional information if needed. A contract will be issued for transferring the certification. 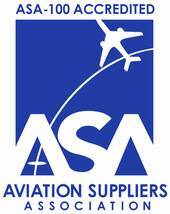 Companies that transfer to ASACB receive a new certificate and have access to the logo/mark usage. The audit schedule will be included in the contract, and typically it follows closely to the preexisting audit schedule. For aviation parts distributors, if you transfer your certification, make sure to ask about including FAA AC 00-56A or FAA Advisory Circular 00-56B and ASA-100 as part of the audit plan. Got questions? We welcome them!